This year’s summit theme is Social Procurement: The Next Impact Revolution. 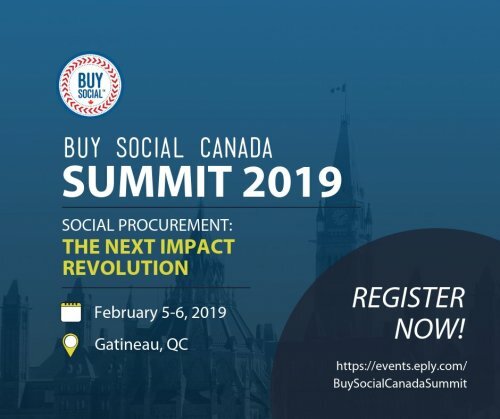 The Buy Social Canada Summit is the premier event exploring the rapidly emerging and expanding field of social procurement. The Summit brings together purchasers from all levels of government, corporations, and anchor institutions with social enterprise suppliers to share their experiences and efforts in designing policy, implementing practice and creating measurement models. This year moves from merely a discussion of ‘what is social procurement’ to how we “leverage social procurement as the next impact revolution.” The summit will be using a program design that facilitates shared learning among all participants; everyone’s experience and story contributes to the summit’s goal: promoting the expansion of social procurement as a tool to build healthy communities.